The luxury 4×4 will take guests of a top hotel to and from the pistes. Wealthy visitors to a French ski resort will get a very special taxi to the pistes after Rolls-Royce announced a new “social hotspot” in the Alps this winter. 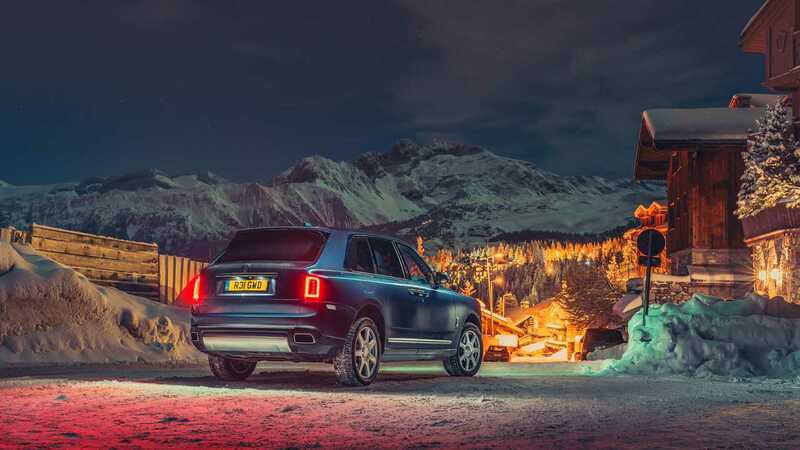 Throughout the 2018/19 ski season, the new Cullinan 4×4 will find work in Courchevel 1850, where it will be used to ferry guests of the Hôtel Les Airelles to and from the slopes. The castle-like residence, which offers rooms that can cost more than £7,000 (about $9,240 at current exchange rates) a night, is one of the Alps’ top luxury ski hotels. Between February 18 and March 10, meanwhile, the luxury marque’s first SUV will also go on display alongside the Dawn convertible at the exclusive resort’s Le Lana Hotel. In a bid to show off the cars’ capabilities, prospective and current owners will be able to experience the four-wheel-drive Cullinanboth on- and off-road, while the Dawn will also be available for on-road experiences. And in the evenings Rolls-Royce will lay on “exclusive gatherings” for clients to socialize and learn more about the brand and its products while surrounded by a high-luxury environment. At the same time, the Goodwood-based firm will display a range of “lifestyle accoutrements” at the historic former chalet. Nearby, the company will install a Bespoke commissioning suite for clients who want to create a new car. Situated in the Six Senses Residences – itself an example of British craftsmanship thanks to its timber crafted by London design house Morpheus – the suite will allow customers to work with Rolls-Royce’s design team to create their dream vehicle. Torsten Müller-Ötvös, Rolls-Royce’s chief executive officer, said the clientele of the resort would appreciate the brand’s mission to “enrich” its clients’ lives. Julian Jenkins, the British brand’s regional director, said the company would bring the cars to its audience, while demonstrating the Cullinan’s off-road capabilities. Next articleIs The Ferrari Brand More Valuable Than McDonald’s, Coca-Cola?